Included in the latest edition of the Ericsson Mobility Report is a deeper look into IoT featuring an article on predictive analysis from Telenor Connexion. Telenor Connexion shares its IoT-related experiences within predictive analysis and Big Data. Around 29 billion connected devices are forecast by 2022, of which around 18 billion will be related to the Internet of Things (IoT). 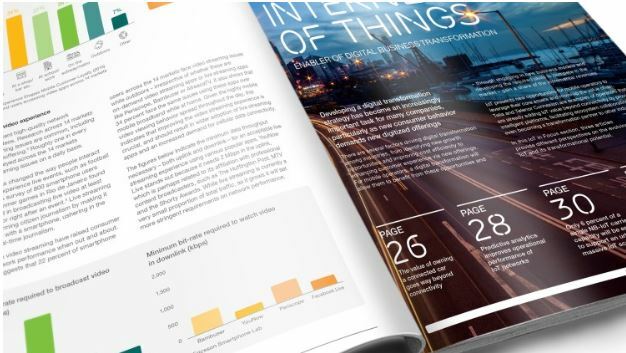 Included in the latest edition of the Ericsson Mobility Report is a deeper look into IoT, with feature articles with different perspectives on IoT and its transformational potential. Ericsson sees this as an exciting area in which vendors and operators are exploring new business opportunities beyond connectivity in the IoT value stack. In cooperation with Ericsson, Telenor Connexion shares its IoT-related experiences. “Analyzing IoT device performance” is a co-written article, focusing on how predictive analysis of IoT devices and networks can improve operational performance. Telenor Connexion has with its ARTS solution combined real-time traffic monitoring with data analytics for IoT devices and networks to reduce the risk of network congestion and to improve quality of service.